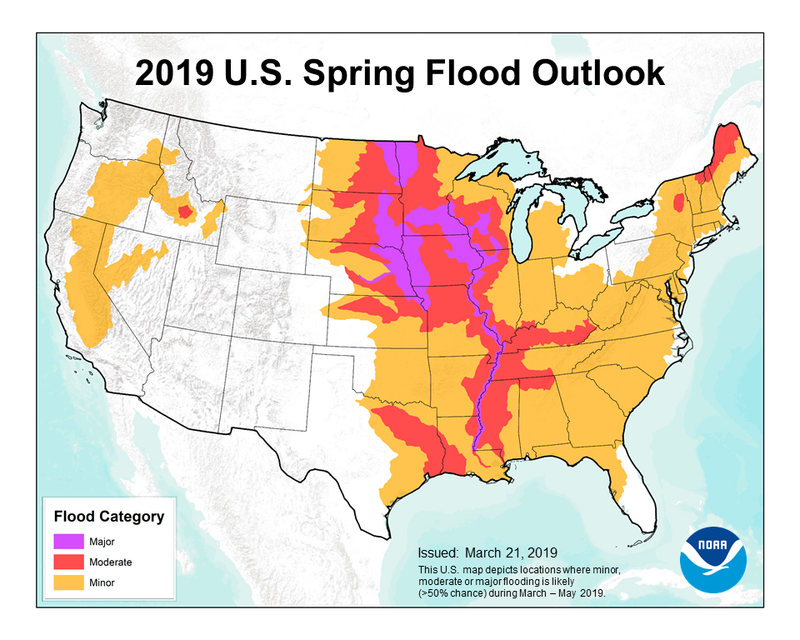 [NOAA] Nearly two-thirds of the Lower 48 states face an elevated risk for flooding through May, with the potential for major or moderate flooding in 25 states, according to NOAA’s Spring Flood Outlook issued Thursday. 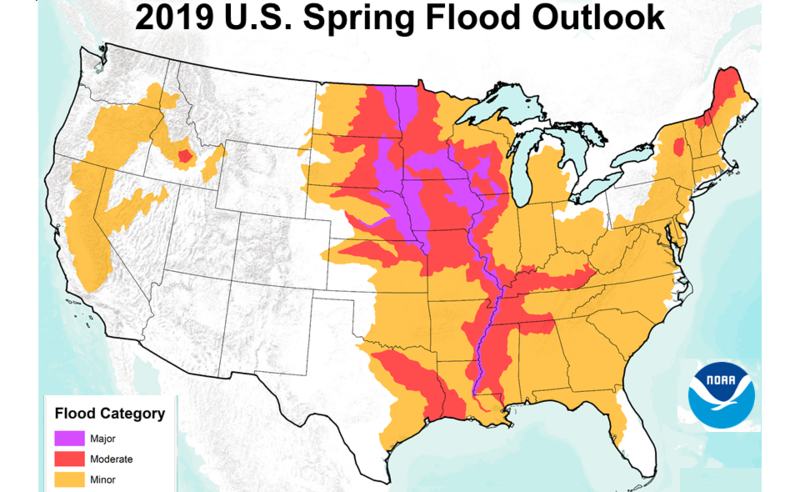 The majority of the country is favored to experience above-average precipitation this spring, increasing the flood risk. Above-average rain and snow in California this winter has pulled the entire state out of its seven-year drought. Scattered areas of the Southwest, Southeast and Pacific Northwest are abnormally dry, but the worst drought conditions in the U.S. are in northern New Mexico. Springtime rain and melting of deep snowpack are favored to slightly improve the drought there. Drought will persist through spring in southern Alaska and Oregon, and may develop in Hawaii. NOAA produces seasonal outlooks to help communities prepare for weather and environmental conditions that are likely during the coming months. 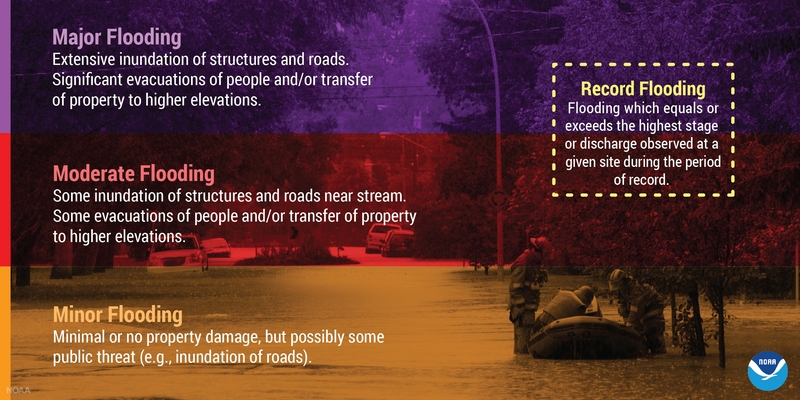 Heavy rainfall at any time can lead to flooding, even in areas where overall risk is considered low.